You can select Create a Business Account when you Sign Up. Simply fill in your information and a Customer Service Rep will be in touch to help set up your business account. 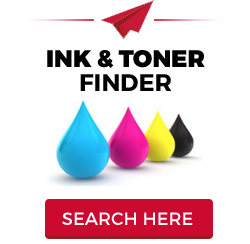 We are a closed B2B site, servicing businesses with their office supply needs. Every customer needs to be set up with a business account to enjoy the benefits we offer. Setting up an account ensures you have custom pricing on all items you purchase regularly, a price match guarantee, personalized service with an Account Executive and our Customer Service Team and inside information on the best deals, promotions and products that we have to offer. Only an admin can make changes to a users account. If you wish to have your account information changed, please let your supervisor/admin know, or get in touch with our Customer Service Team. You can change your password in the My Account tab. If you have a problem changing your password, please get in touch with our Customer Service Team and they will be happy to help. You can select Forgot Password, enter your email address and we will send you a new password. We recommend you go into your My Account page when you login in with the new password and change the password to something that is easy for you to remember. How will my department or cost center be properly charged for orders? Each login is associated with only the Cost Center/Department Code (s) applicable to that user ensuring accuracy. When a user purchases for multiple Cost Centers/Department Codes, a drop down box is provided displaying the available choices for that user. Will my order be approved if I go over budget? If you go over the specified budget amount your order will only be approved and processed if the approvers have approved and submitted the order. All approvers have the ability to deny and/or change an order. Will my order be lost if I leave the shopping cart page? If you close the browser, the items in your cart will be lost. However, if you do not want to lose anything in your cart you can save the cart and reuse it at a later time. To save your cart, click on "Save Cart", which will take you to a new screen prompting you to populate something in the empty box. Then hit SAVE, and the items in your cart will be saved. If my order needs to be approved when will my order be processed? The order will be processed as soon as the final approver has approved the order. Your approver will receive an email to alert them that you have placed an order, which needs to be approved. If it is approved by the cut off time you will receive it the next day. How do I see my Order History & Tracking Info? Sign in to your account to view your Order History under the My Account tab and click on the link containing your order number to view your order. You can see the status of your order, it will tell you whether it is pending, shipped, delivered, invoiced, returned or credited. You can generate a price quote before making a purchase. Simply add the desired product(s) to your shopping cart and when checking out, instead of completing your order, select "Save Cart”. This will generate a quote number and give you pricing. Please be advised saved price quotes are for customer reference only. They will not be recognized as orders and will not be shipped unless you go through the checkout process. To cancel all or part of your order you will need to contact us before your order has shipped. However, please be aware that the window for cancellation is very small because we ship orders very quickly. Simply contact us about your cancellations, call us at 1.800.609.5707 between 9am-5pm (EST) Monday - Friday with your confirmation number and the canceled or changed quantity. If the order has already been shipped, do not refuse the package. Call us for your return number so that we may ensure your package returns safely. Office Universe will not be responsible for any packages that are lost in transit due to refusal or returns without return authorization. Your account will be refunded/credited once the warehouse receives the package (please keep your tracking number). Though we take every measure to ensure that we advertise only those items which we have in stock, occasionally certain products are announced by the manufacturer and are shown here online even though they are not available. If an item is not yet available, we'll use our best efforts to give you the anticipated delivery date when you place your order. Anticipated delivery dates are based on information supplied to us by the manufacturer and are subject to change. If you choose to place an order, and we are unable to fulfill them, a refund will be issued to you. For all shipping queries please visit our Shipping Information page. Please allow 15-25 business days for return processing and credit posted to your account. Please allow 15-25 business days for return processing and credit posted to your account. Office Universe will apply a full refund of the original purchase price of the item if received back in the condition the order was delivered. For defective products, first contact the warranty service provider listed in the warranty section of the product description. If I order something incorrectly can I return it? Yes, merchandise can be returned with the exception of custom ordered products. When returning merchandise, you can contact our Customer Service Team at 1.800.609.5707 between 9am-5pm (EST) Monday - Friday and let them know that you would like to return a product. You can also return an order online, click on the Need Help tab on the homepage and select Easy Returns. You will be taken to a form to begin your return process. For more information about our Return Policies, please visit our Return Policy page. Can I pay be credit card? Yes, if your account is set up to be paid by credit card, you can enter your credit card details and checkout. If your account is a Net 30 account, please call us to be set up as a credit card user. What is a Net 30 account and how do I set it up? A Net 30 account is a credit account for your company, whereby your company has 30 days to make payment from the invoice date. Usually our finance department will reach out to your billing department directly and settle accounts. In our continued effort to keep you happy we promise a 100% price match guarantee. If you find a lower price on the web, we will match it for you. What is Plan & Save? Office Universe allows you to plan orders in advance, saving you the time from ordering the products you use frequently. The function has a lot of flexibility in terms of customizable delivery with absolutely no commitment. Orders that are planned can be cancelled until the night before the order is processed. You will receive an email informing you that your order will be processed 1 business day in advance. For more information, please view our Plan & Save information page. What is a Bulk Quote? Office Universe can offer volume discounts in many cases when the quantities warrant and the total of the order of the single product SKU is over $500.00. We cannot guarantee we can provide a volume discount on every product as we're already offering the most competitive prices on the web. However, in the continuing effort to help exceed our customers' expectations we are willing to review every request as long as it meets certain criteria. Volume price quote requests are usually processed within two business days, excluding major holidays. Volume discounts are associated with a customer account, so a valid e-mail address must be provided for the discount to be applied. Please note that due to our already competitive low prices, we are sometimes unable to offer a price lower than what is available on our website, but we will try our best. Price Alert is a way for you to track the price of an item you are interested in. If you wish to receive a Price Alert notification, simply click on Price Alert from the item’s product page, enter your name, email address associated with your user account and your target price. You will be notified if the product reaches the target price or if there has been any price change. What is your Custom Water Program? At Office Universe, we provide optimal custom water programs, to make it easy for you and your employees to drink clean, fresh water. We offer both water filtration systems and bottled water coolers, ideal for all company types. We can install freestanding or countertop units to fit your space, with the set-up and maintenance included in our services. For more information, you can contact our Customer Service Team at 1.800.609.5707 between 9am-5pm (EST) Monday – Friday. What is your Office Coffee Services? Fueling your employees with a great cup of coffee will help to ensure they stay effective. Office Universe offers a wide selection of single-cup coffee makers, traditional brewers and espresso machines to cater to the needs of any office. 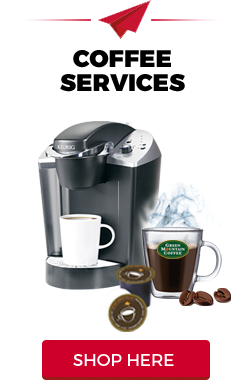 We offer leading brand brewers such as Starbucks, Flavia, Keurig Green Mountain, Tassimo, Bunn and many more. Not just that, we will also set up your machine, offer monthly servicing, maintenance and filter change. We pride ourselves in our service and support to ensure we keep your office running. Office Universe also offers a free brewer set-up program with a minimum purchase requirement of coffee and break room supplies. Please get in touch to Learn More about our office coffee services. If I sign up for Plan & Save do I lock in the price? Each order will reflect the cost of the item on the day the order is processed, plus any applicable sales tax. What payment methods are accepted for Plan & Save orders? We accept all major credit cards. For all business accounts customers will be billed on their agreed upon course of billing when an order is processed. When do I get charged for my Plan & Save order? You will be charged when your order has been delivered. Planned orders are available in one week, two week, three week, one month, two month, three month, six month or even custom time intervals. As soon as you sign up for Plan & Save and place your first order, it will be processed and delivered right away. You order will be automatically processed on the planned date you selected. We will notify you by email before each order ships, 1 business day in advance, giving you the opportunity to make any updates or changes to your program settings (i.e. skip a delivery, change frequency, etc). How do I update my delivery options? You may change your delivery options at any time by going to your My Account login page and clicking on the "Plan & Save" link. How do I cancel Plan & Save? You may cancel planned orders at any time by going to you’re My Account page and clicking on the "Plan & Save" button. You will only be charged for orders that have been processed in advance of your election to change or suspend participation in the program.